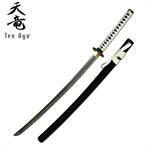 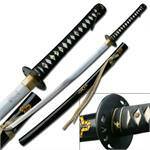 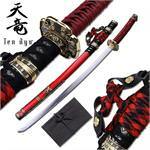 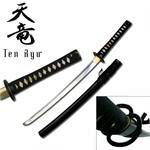 Ten Ryu Samurai Jin Tachi Functional Sword. 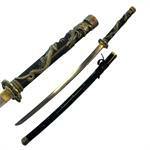 Features Green cord wrapped handle with black Scabbard. 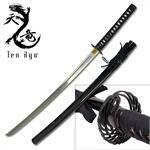 Free sword bag included.